Dominic Chungwa turned from hero to villain as he missed the crucial penalty as Harare City marched into the semi-finals of the ZNA Charity Shield. Chungwa came in as a second half substitute for the influential Archford Guru with score still nil all and it didn’t take him long to put his mark on the match as he broke the deadlock with a well taken first time left footer to give Makepekepe a 1-0 lead after a good cross by Bamusi. CAPS United would continue to dominate the match only to let themselves down with poor defending to gift Harare a goal in the 89th minute meaning that the game will be decided by the lottery of the penalty shootout. 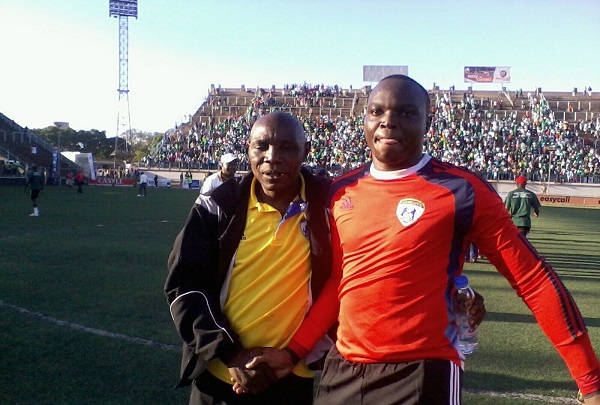 Captain Hardlife Zvirekwi, Joel Ngodzo and Ronald Pfumbidzai all scored for Caps before Dominic Chungwa missed his spot kick and he was given a chance to rectify it when the referee Norman Matemera ordered a retake but Chungwa poorly put the ball in the same place and the result was the same as Max Nyamupanedengu saved it again. Leonard Tsipa’s needed to score but saw his spot kick was saved by Nyamupanedengu in goals to send Harare City to the semis at the expense of the expensively assembled CAPS United.